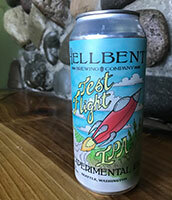 May 30, 2015, Hellbent Brewing Company opened in Seattle’s Lake City neighborhood. 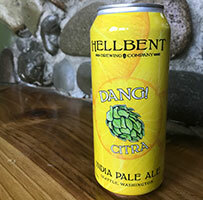 Our love affair with Hellbent began that day as we soaked in sunrays and IBUs sunk in a couch in the brewery’s back parking lot. Good times. It wasn’t until a sample bottle of Dang! Citra IPA made it to our 2016 Thanksgiving dinner that we pledged our undying love. The hops smacked the tryptophan with toasted caramel, bright grapefruit and orange. Dang! It’s a cloudy, full-flavored IPA. Hellbent Brewing owner and head brewer Brian Young will discuss post-fermentation during the brewing process tonight during out SudsPop Beer Lecture and Live Music night featuring SweetKiss Momma lead singer Jeff Hamel unplugging for a night. In celebration, Peaks and Pints presents a flight of Hellbent Brewing, plus two beers from Hamel’s favorite hometown brewery, Puyallup River Brewing Co., which we call Craft Beer Crosscut 3.20.19: A Flight for SudsPop. Novelty rappers have a surprisingly long lifespan, but there is at least two rules to maintaining your irrelevance-relevance indefinitely: Do not commit felony domestic assault, and have a red ale give a nod to one of your songs. Funky Red Patina Red Ale Nitro is well balanced, rich and malty with a dark auburn color, light herbal hops and an airy toffee finish. Good mix. SweetKiss Momma lead singer Jeff Hamel adores his neighborhood brewery, Puyallup River Brewing Co. Since Hamel stars in our SudsPop session tonight, Peaks and Pints thought we’d add a Puyallup craft beer to this beer flight. Owner and head brewers Eric Akeson of Puyallup River Brewing hosted Three Magnets Brewing head brewer Jeff Stokes from a day of brewing in Akeson’s Puyallup backyard brewery. The result is a tropical and fruity imperial IPA brewed with Citra, El Dorado, Azacca, and Galaxy hops. They used Chico ale yeast on this one, with loads of oats, wheat and white rice in the mix. It’s smooth. Eric Akeson began delivering his beer to local bottle shops and groceries stores in 2012, he’s been a beer enthusiast since working in a Kirkland alehouse in the mid-’90s. He took his homebrew hobby to the next level in 2011, opening Puyallup River Brewing in his South Hill home’s backyard. 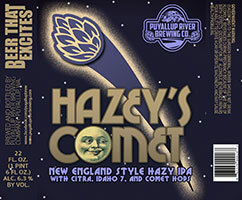 His New England style hazy IPA, Hazey’s Comet, is loaded with Citra, Idaho 7 and Comet hops for flavor and aroma of overwhelmingly piney and earthy notes. It finishes a little sweet. It’s not a typical tropical or citrusy hazy IPA. 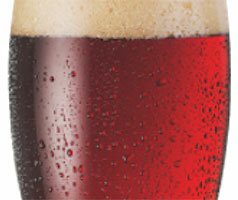 Hellbent’s newest IPA experiment showcases two hops that have recently joined the brewing scene: Sabro and Strata. Sabro is a Washington hop from a female Neomexicanus hop with distinctive tropical fruit flavors like coconut and tangerine. Strata is an Oregon-bred hop with “dank” tropical fruit aroma. 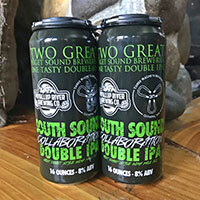 This beer is a West Coast IPA, inspired by the new hazy IPAs, that’s brewed with two row pale malt, malted white wheat, rolled oats, dextrin malt and caramel 8 malt. Both hops were used in equal proportions as late addition whirlpool hops and as the dry hopping. As we stated in the introduction of today’s beer flight, we fell in love with Dang! Citra IPA while drinking a sample bottle during a Thanksgiving football watching session. Packed with hop aroma, this IPA smacks us in the face with hoppiness. It hits the nose with orange, citrus zest and light grains. Flavors of grain, pale malt, tangerine, slight white grapefruit, honey, and minerals dance on the tongue. Dang!